A mutual fund is a common pool of money in to which investors with common investment objective place their contribution that are to be invested in accordance with stated investment objective of the scheme. A mutual fund is a trust that pools the saving of a number of investors who share a common financial goal. The money thus collected is then invested in capital market instruments such as share, debentures and any other securities. The income earned through these investments is shared by its unit holders in the proportion to the numbers of unit owned by them. In simple term all the returns on investments are shared equally among the all investors. Why to Go for Mutual Fund? Dealing in direct shares and debentures may be risky and sometime expensive. Because nowadays, companies are selecting only big budget investors not the small one who deals in small amount of investments. The main reason behind choosing only powerful investors is to less down the burdens of individual accounts and resources, where more investor would create more costs and less investor will help to reduce the costs. It is good to have so many investors with small and big funds but it would be best if you have few investors with big funds only. Ease: Mutual funds are the easy way to invest in the capital markets by a common man. 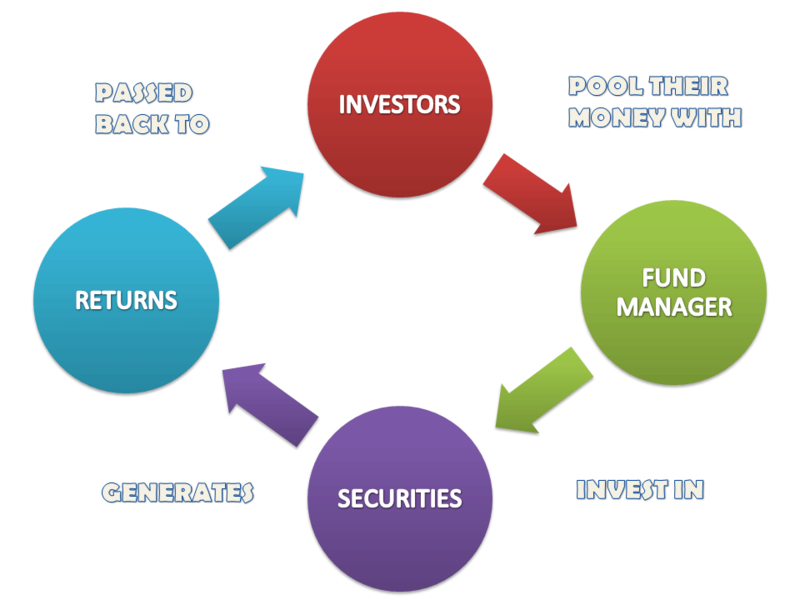 If you have low fund and wish to invest that to share market then mutual funds are one of the easiest way to get in. Professional Management: Mutual fund ensures that the best brains are managing the investors’ money. Here only share market’s experts are dealing with the money of investors who are experienced in these industries. Diversification: Investment in mutual funds ensures risk reduction since fund managers invest the mutual fund corpus in a portfolio of securities with different risk return profiles. Liquidity: Mutual funds ensure liquidity since the investor can get back the money whenever they required. Transparency: The investors are informed of their portfolio regularly by way of published monthly or weekly reports. Tax Benefits: Government also allows some percentage of discounts on mutual funds for making fresh investment. In traditional way the tax rate are relatively high as compared to mutual funds investment. Mutual funds are a boom for the low profile investors who have a less amount of money but really want to deal in share market to earn more. This is nice info. i dont know about mutual funds before. Thanks for share. Welcome Shreya, I hope you understand Mutual Fund and its know how very well.